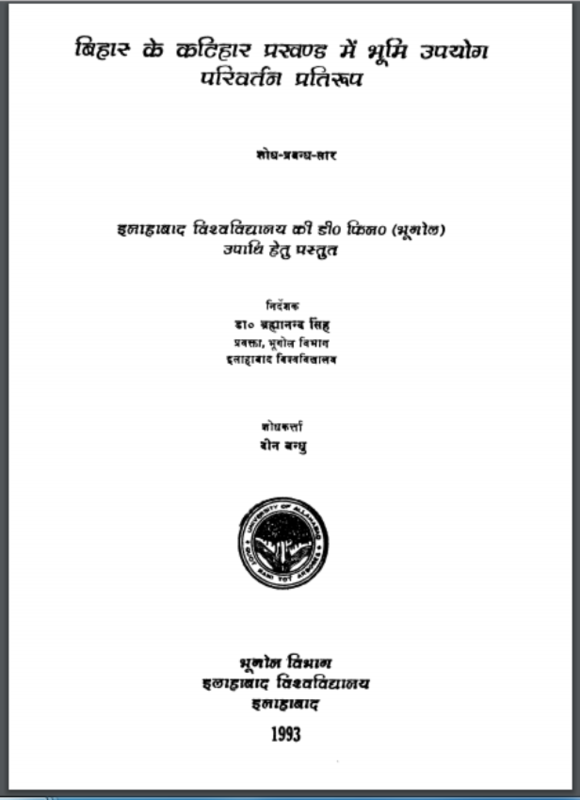 Description about eBook : In the eighth chapter, some concrete suggestions have been proposed for the planning of land-use of Katihar Block. There is a need to strengthen the walls of Kosi Dhar, Kamala, Gidri, Saura river and straighten their intentions to solve natural problems like flood and water logging in the study area. Use of gypsum and paraite to improve……………..